I may have been a bit mean to Sauvignon Blanc over the past six months. I got very bored of cheap Kiwi Sauvignons and recommended anything but, preferring to suggest Chenin Blanc, Riesling or Chardonnay… almost anything except Sauvignon Blanc. My mind was beginning to change following a recent deep dive into Kiwi wine and this trip to the home of this noble grape has restored my faith and demonstrated how versatile Sauvignon can be, as well as its ageing potential. Sancerre is a delightful little town, situated on top of a hill overlooking the magnificent vineyards of the most easterly section of the Loire region. Sancerre itself is on the left bank of the Loire, with the other famous Sauvignon town of Pouilly sur Loire, home of smoky Pouilly Fume, over the water. The region is often referred to as the “central vineyards” as it is situated halfway between the Atlantic coast and the German border. Most of the vineyards are planted out south-facing slopes on three different soil types. At the eastern section of the region around Menetou-Salon, we find “white soils” of clay and limestone, in Chavignol the soil also includes Kimmeridgian marl, leading to more body and power. Finally, around the town of Sancerre, we find the famous flint, known as silex that adds the distinctive mineral notes we have come to associate with the region. 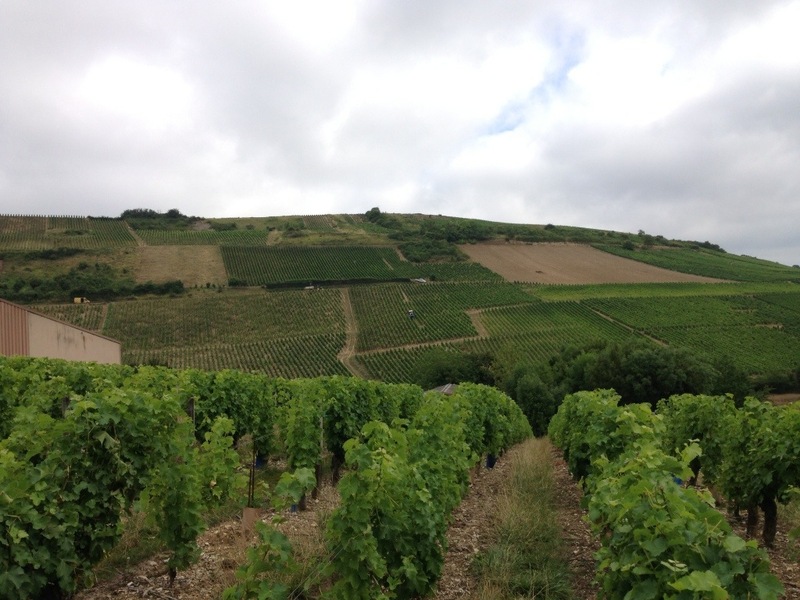 Sancerre now has 2,600 hectares under vine and has become a brand in itself – the downside of this is there are a number of winemakers making very average wine which sell for less than average prices. However, it’s definitely worth finding a few domains you like in order to enjoy the real thing. One of the bottles that marked the change of wine from an interest to an obsession for me was the Henri Bourgeois Sancerre Cuvee Jadis 2008. It was unlike any Sauvignon Blanc I had ever experienced, so heading to Domaine Henri Bourgeois in Chavignol was a must for me on this trip. 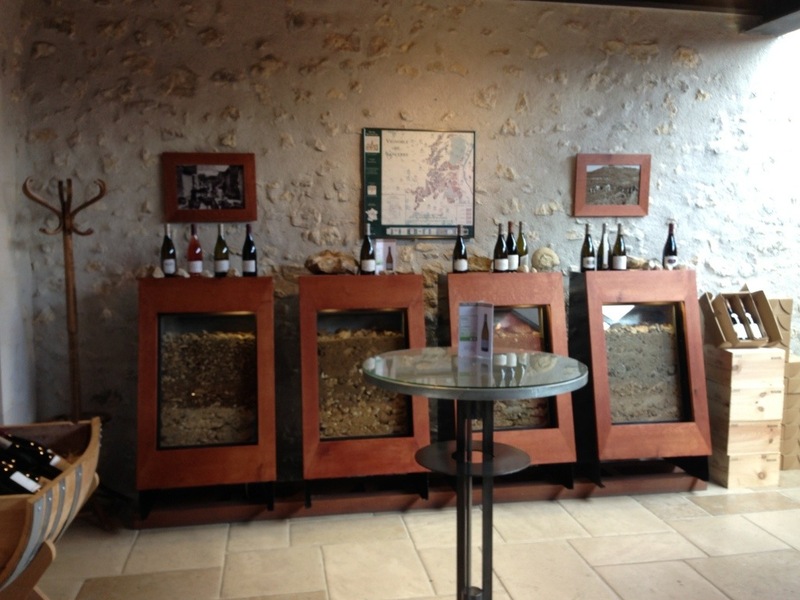 When I booked the tour and tasting I was informed that the minimum number for a private tour was 8 people at a cost of €80 – as we were joined in Sancerre by my Mum (who just adores Sancerre!) and Peter I decided that €20 a head didn’t sound too bad so I booked a tour for the 4 of us… and I’m so glad we did. 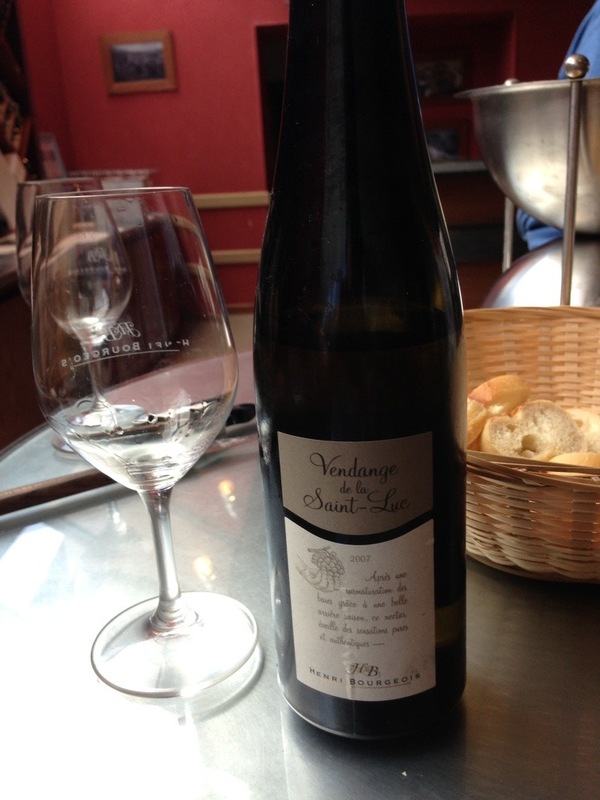 We were shown around by a cool young guy who moved here a few years ago from La Rochelle to learn about Sauvignon Blanc – he was interesting, funny and extremely passionate about the wines of Sancerre and particularly those of Henri Bourgeois. The tour started with an explanation of the three different soils of the region and the background to the 72 hectare estate of the domaine, as we looked up at the magnificent south facing vineyards of La Cote des Monts Damnes. We were then taken on a tour of the modern, gravity-fed 3 story wine making facility, which is a feat of engineering designed to keep as much freshness and purity in the delicate fruit of the region. 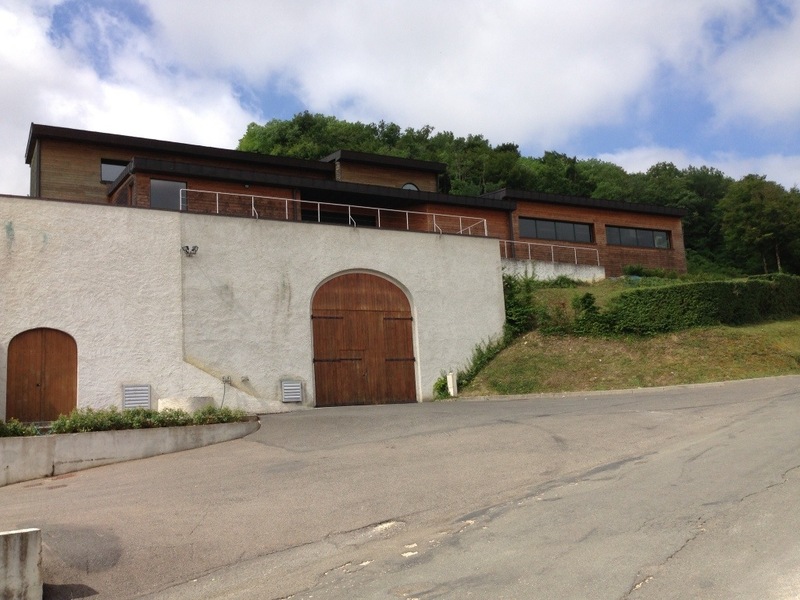 Then it was off to the old cellars and finally onto the purpose built tasting room, where you can just pop in for a tasting without an appointment. Our tasting extended to a total of 16 wines, starting with the rose and reds, all made with Pinot Noir, before moving onto the main event; Sauvignon Blanc. The tasting demonstrated how the different soil types produce different flavours and aromas and also how these wines evolve beautifully over time. Posted on August 18, 2013, in General, Tasting post, Travel. Bookmark the permalink. 4 Comments.